Dave Broom turns his attention to blends this week, with a look at the new Berry Bros & Rudd Perspective Series and the second batch of Cadenhead’s 20-year-old expression. 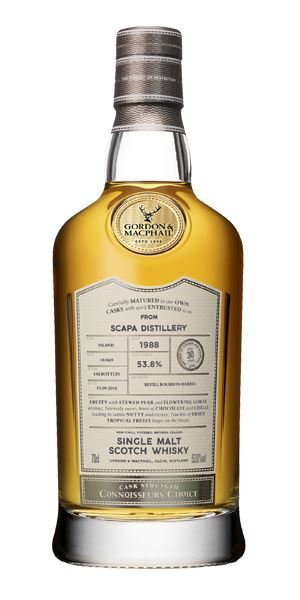 Plus he still finds time to consider a new Scapa single malt from Gordon & MacPhail (G&M). First up is the Perspective Series’ youngest entry. The 21-year-old is rich and resinous, and demonstrates some ‘lovely blending’ at play, though you may need to focus. Notes of dry leaves, apples and cinnamon in the Perspective 25-year-old blend leave Broom reminiscing of autumn. Despite it being gentle and crisp, he finds the blend still holds its weight when water is added. Old wax, tobacco smoke, ripe fruits, Brazil nuts – the 35-year-old Perspective blend is the most complex and restrained expression in the collection, according to Broom. Finally, the 40-year-old offers a surprising seashore aroma on the nose, but despite its freshness Broom is left with the impression this blend has a hollow quality to it. 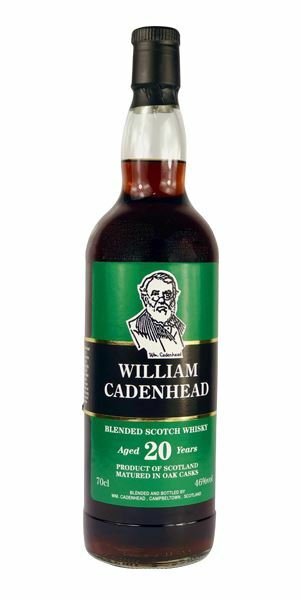 Moving on to the second batch of William Cadenhead’s 20-year-old blend, which is filled with super-ripe and plush textures. 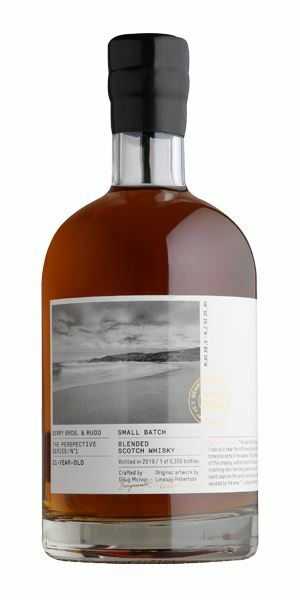 While not a complex whisky, Broom finds its feel-good richness difficult to ignore. The playlist leaps from Snapped Ankles and audiobooks (sic) to The Meters, and raises a parting glass to the godlike genius of Scott Walker. All will be well. Big and richly resinous – the smell of a violinist, bow rosined, trapped inside a heavy oak wardrobe. Add in melting chocolate, black cherry, then a whiff of (slightly old) pot pourri. As things develop so you get old waxed leather mixed with jelly babies, blackcurrant cordial, deep spices and mixed nuts. With water added it takes on a more classically mature cast: beeswax, toffee apple and orange Pekoe tea. Water mellows things without diminishing the richness, while adding in a little overripe banana and a more honeyed element. Medium-bodied with a very gentle flow – the grain is particularly elegant – allowing it to skim the palate. You do need to pay attention to find the dried fig fruit, sugared plums, and then caramel, before things deepen into liquorice and dark chocolate, all bound together with this toffee-like grain. Be careful with the water. A splash allows it to expand in the mouth. Lightly drying with fine-grained tannin. Long. Lovely blending here. Take your time, relax and concentrate. Fresh, yet mature with subtle depths of linseed oil, chimichurri, birch sap and apple. A delicate, woody aroma. In time there’s a light dustiness reminiscent of dry autumn leaves, and with water a floral and slightly fruity element emerges alongside a gentle maltiness. Much more expressive. It starts sweet and the silkiness from the lovely old grain begins to come through more clearly alongside crème brûlée, a mix of black and red fruits, toffee and cinnamon. The grain works hard to add texture while balancing the malty elements. That said, overall it remains light and bright. Water adds a little weight with some vanilla, but does not diminish its punchiness. Light but with lovely balance. Take with water or an ice ball. A reminder that it’s the Little Things (That Keep Us Together). Gather around for The Parting Glass. A blast of Hot Salt. Fresh mineral elements along with Creamola Foam powder, currant leaf and some heat. There’s then a slightly odd melange of anise, intense green apricot, envelope glue, preserved lemon and fresh ginger before everything is dominated by estery pineapple. Water gives things a cool pastry base, plus pear drops. Comes across in three distinct parts: the first, bright and estery (all pineapple, sour apple and pear drops); the middle has Scapa’s bouncy, juicy fruit quality, then the back palate is taken over by a real tingling gingery spice. Water pulls out more sweetness and some floral notes, before the esters return. Red fruit, strawberry chews and dolly mixture. Absurdly estery and as such may not be to everyone’s taste. 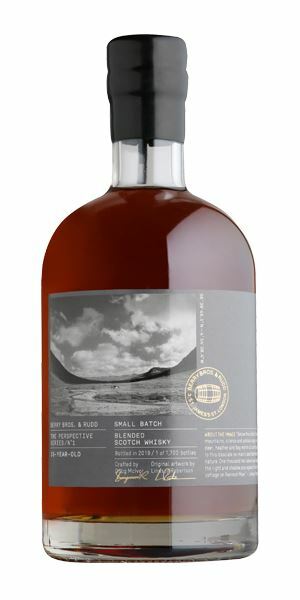 For me though it's a delicious afternoon dram best served chilled, or with soda. This will keep you on your Tippi-Toes. Super-ripe, rich and sweet. Cherry cola, chocolate ganache, Seville orange and sweet ginger develop into muscovado sugar, plump raisin and a hint of clove. Things dry ever so slightly in time but continue to head toward a hot, buttered, Demerara rum. Water adds sweetened coffee and a slightly more savoury quality, but ‘slightly’ is the operative word. As you might expect, a very soft delivery, with a thick, plush texture: old roses, red velvet cake and a jam-like sweetness (damson, mulberry and sloe). Although things remain sweet when it’s diluted, there’s also some black cherry, cassis and finally a little (and much-needed) grip. Completely the opposite of the Scapa expression – and equally some might not go for this heart-on-the-sleeve richness. It might not have massive complexity, but by goodness it’s a good glass. One sip and you think that All Will Be Well. 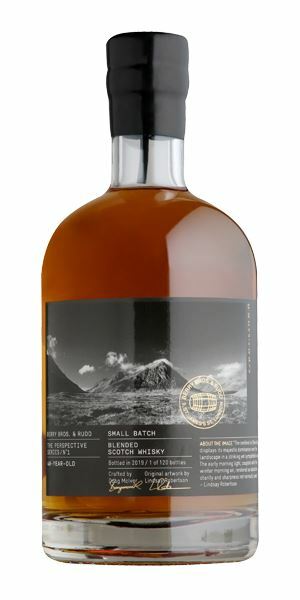 Batch 194 05/04/2019 A Tamdhu trio vie with Glenlivet’s Winchester malt and Whisky Works’ newest releases. 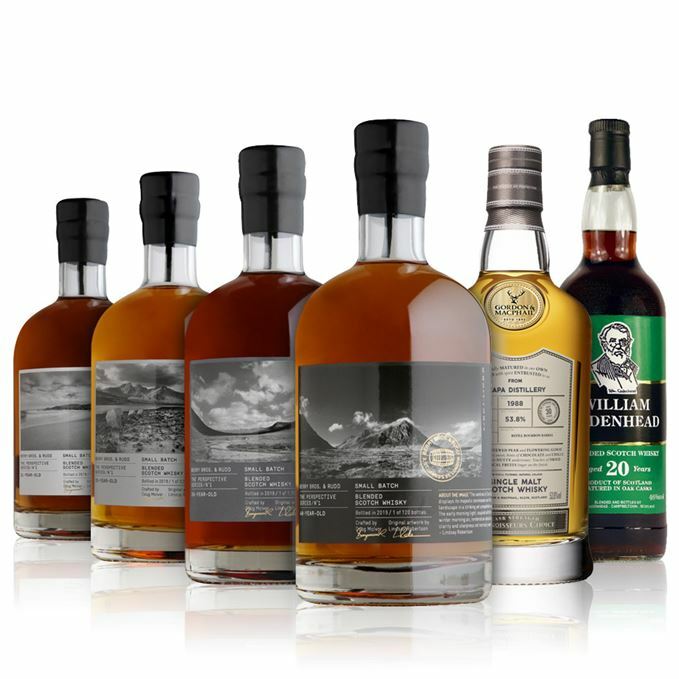 Batch 192 22/03/2019 Dave Broom goes rummaging through some lesser-known distilleries (and Aberfeldy) this week.